The Protein Synthesis Monitoring assay uses labeled tRNA pairs that generate FRET signals to monitor ribosome activity in selected cellular system. PSM assay in a selected cellular system is used to screen a small molecule library of compounds towards the identification of compounds which change the PSM signal. Unbiased scores are generated from more than 90 features extracted from images. Images captured by Operetta® are automatically uploaded to the Cloud using proprietary plate processing software. QA measures are executed to eliminate outliers wells and cells and to identify false positives. State of the art image analysis algorithms extract unique PSM and additional cellular features as a feed for the big data analysis. All images are captured by Operetta®, and the clean, calculated, PSM images is generated automatically. FRET controls, assay controls are located at specific wells in all screens, enabling strict QA algorithms. PSM design is based on proprietary mathematical algorithms analyzing the relevant RNA code. All biological data and results are kept in a customized industry standard bio data center. The analysis utilizes proprietary biological big data algorithms designed for translation control modulators discovery with high level of statistical significance. Our pipeline programs are in Fibrosis (Collagen type I translation inhibitors), RSV (inhibiting the production of viral proteins by host cell ribosomes), Oncology (C-Myc translation inhibitors) and Huntington’s Disease (monitoring mutant Huntingtin translation pausing). 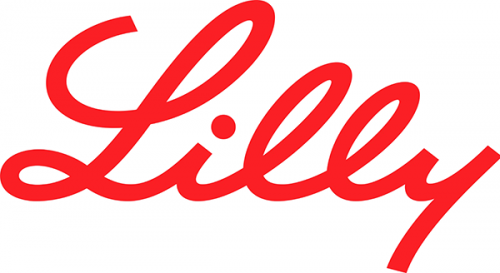 $30 million in upfront payments, $14 million in research funding, up to $1.05 billion in milestones and low to mid single-digit tiered royalties on sales of any Lilly products resulting from the collaboration. Eur J Cell Biol (2018) ; 97 : 168-179. Chengyi T., Santo L., Mishima Y., Raje N., Smilanski, Z., Zoldan, J.
J Cell Biol. 2016; 23;213(4):451-62. Anima Biotech has been invited to present and participate on a panel during the BioCentury 26th Annual Future Leaders in the Biotech Industry Conference. The Future Leaders Class of 2019 will showcase the next wave of investment opportunities in redefining disease, expanding the world of druggable targets, advancing next-generation modalities and applying AI to drug development. Anima Biotech has been invited to present about its business, technology and partnering strategies during the 13th Annual BIO-Europe Spring International Partnering Conference. The Annual BIO-Europe Spring Conference is Europe’s largest springtime biotech partnering event. The conference attracts a wide range of business leaders, including senior executives of leading biotech companies, business development teams from large and mid-size pharmaceutical companies, investors and other industry experts. Anima Biotech has been invited to present about its business and partnering strategies at the 2019 BIO Asia International Conference. The Annual BIO Asia International Conference is an exclusive, customized partnering forum that brings together U.S. and European drug development companies with Asian biotech and pharmaceutical companies interested in research collaborations and licensing agreements.